MAWEV: Graz, Austria - Kobelco Construction Machinery Europe B.V.
ADDITIONAL INFO: This is where the future will be under non-stop construction from the 18th – 21st March 2015! During the 4 days of this fair domestic, foreign and international manufacturers make a heavy duty impression with heavy duty and precision machinery. More than 1000 construction machines and vehicles can be seen up close and demonstrated on site! 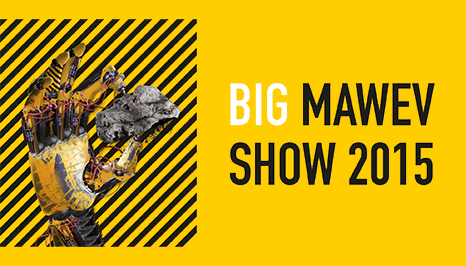 The MAWEV show brings together knowledgeable visitors with the latest products, new methods, applications and trends in the building sector.